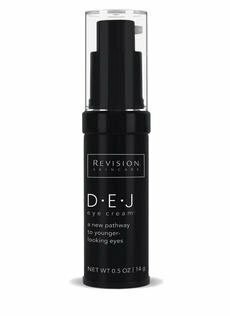 Revision D•E•J Eye CreamTM addresses all of the signs of te aging eye, including the upper eyelid. This breakthrough formula contains advanced extracts, peptides and potent antioxidants that work cohesively to create clinically-proven anti-aging results. If you have any questions about this product by Reision, contact us by completing and submitting the form below. If you are looking for a specif part number, please include it with your message.